Homemade Pecan Fingers and M-M-M Cookies are 2 Recipes Sure to Please! You can easily find some of the other homemade cookie recipes that I have already shared. 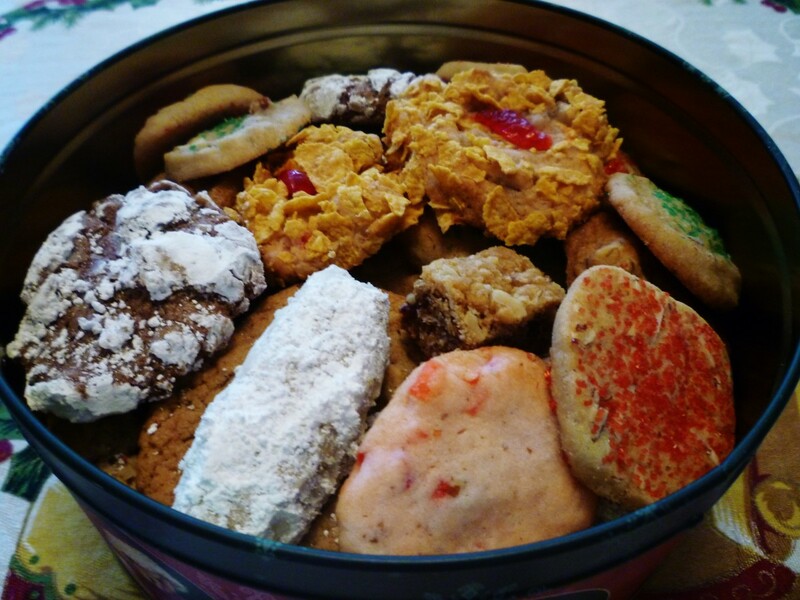 In this post I will add two more favorite cookie recipes that have made it into cookie tins that have being given out as early Christmas gifts for many years. Butter is a prime ingredient in both of these recipes so any butter cookie lover should be interested in these variations. In other articles you will find a recipe for an Old Fashioned Chocolate Cookie from my grandma that actually predated the manufacture of chocolate chips. 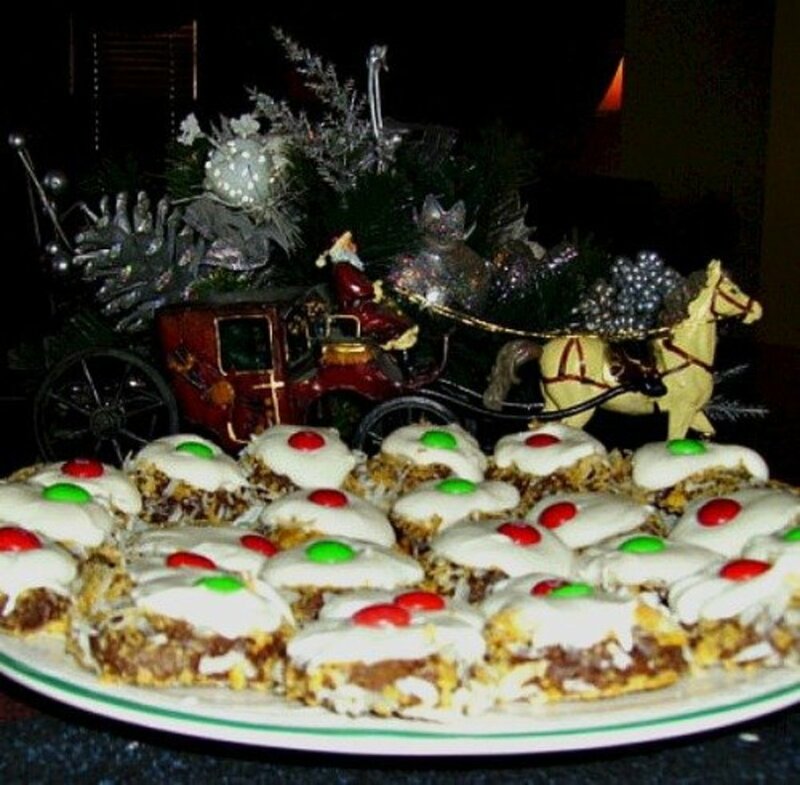 A delicious Christmas Cookie recipe that I got from a neighbor back in the 1960s, a Raisin Molasses Sugar Cookie and a healthful good and crunchy Oatmeal Cookie are among some of our other favorites. Now we are about to add two more scrumptious cookie recipes to this assortment. My mother always included these rich cookies in her Christmas cookie assortment and she baked many different kinds for us as we were growing up. As a child these were one of my favorites although my tastes have changed a bit as an adult and I now have others as favorites. 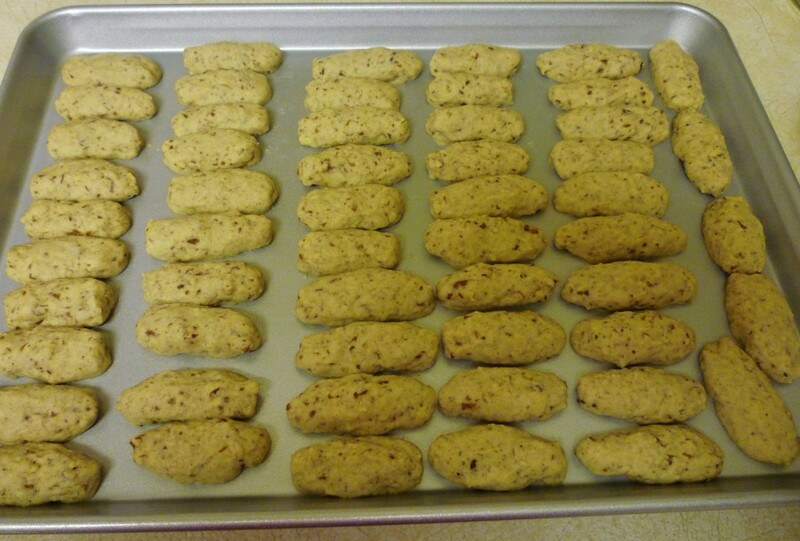 Pecan Fingers are distinctive when mixed in with other cookies because of their distinctive color and shape. If you like plain butter cookies and if you like nuts you should really like these! Extra powdered sugar for decorating the cookies after they are baked. See what I mean about the butter and nuts? This is a butter type cookie extraordinaire! 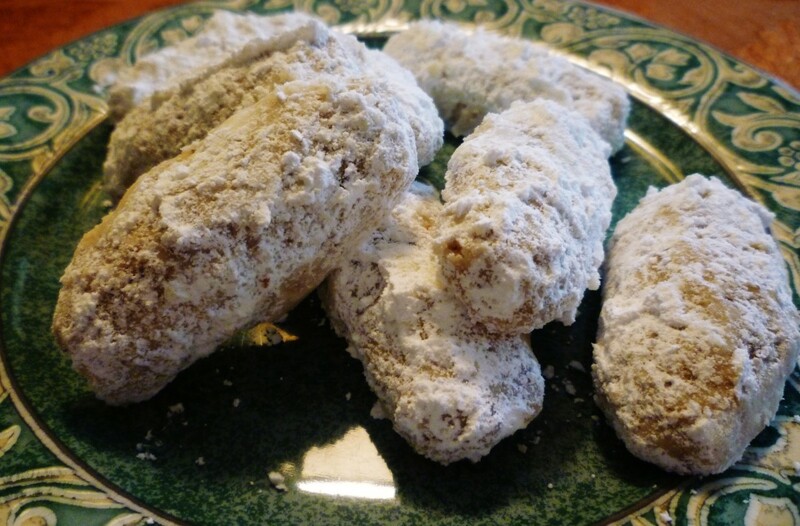 These pecan fingers are very easy to make. #1. Cream the butter and then add the sugar, vanilla and water. #2. Next add the flour, salt and nuts. #3. Form into small finger-like rolls. #4. Place on ungreased cookie sheet and bake at 250 degrees Fahrenheit for one hour. #5. After baking and while still warm roll in the extra powdered sugar. 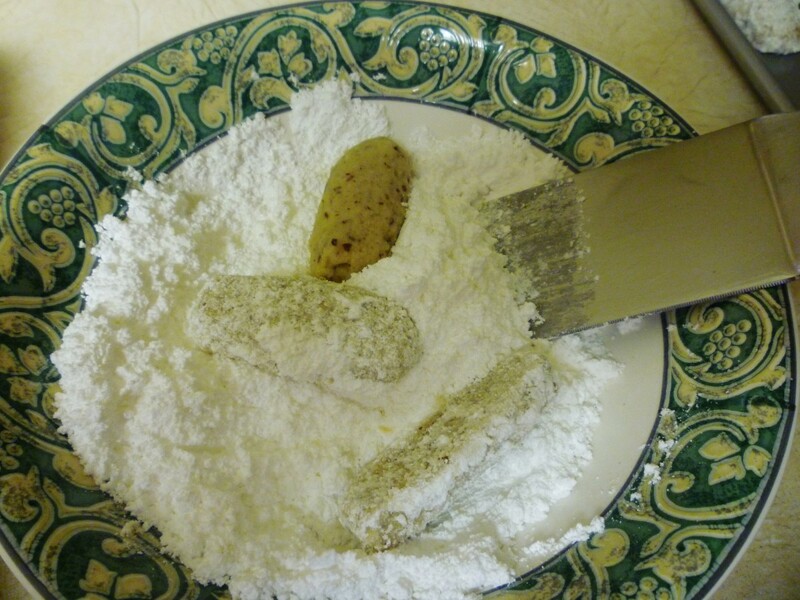 Tip: After all the cookies are rolled you can sift the powdered sugar to remove any cookie bits that might have broken off during this process and save the remaining powdered sugar for future uses. This recipe is credited to Louise Cooke and is also very buttery in flavor as well as colorful. #1. Cream the butter and sugar. #2. Add the other ingredients mixing well after each addition. #3. 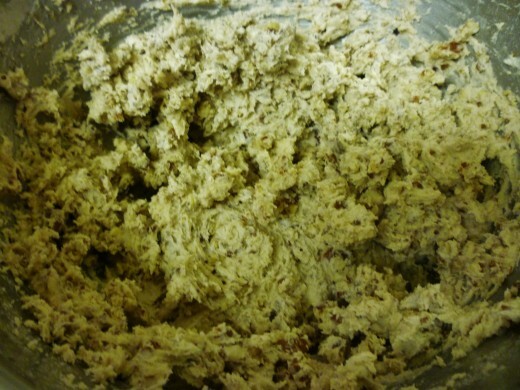 Use rounded teaspoon of dough and roll into a ball. #4. Put on ungreased cookie sheet and flatten. #5. Bake at 375 degrees Fahrenheit for 15 to 18 minutes. Note: If using a convection oven this timing can be reduced to about 11 to 12 minutes. #6. Let the cookies sit on the cookie sheets for a few minutes before removing to a wire rack to cool. My cookie baking is done for a while. Appreciative "oohs and aahs" are being heard as we give away cookie tins filled with these homemade cookies as gifts. If you are in the mood you might wish to give these buttery scrumptious cookie recipes a try. They are great for the holidays but also for birthdays or anytime the cookie monsters in your house desire. Who knows? That cookie monster just might be you! I am pleased to know that your church social group enjoyed these two cookie recipes. Thinking of you with love. That is the time of year that I do the most baking also for giving cookies away as Christmas gifts. Sorry to hear about Jenna's accident. Hope she is much better by now. 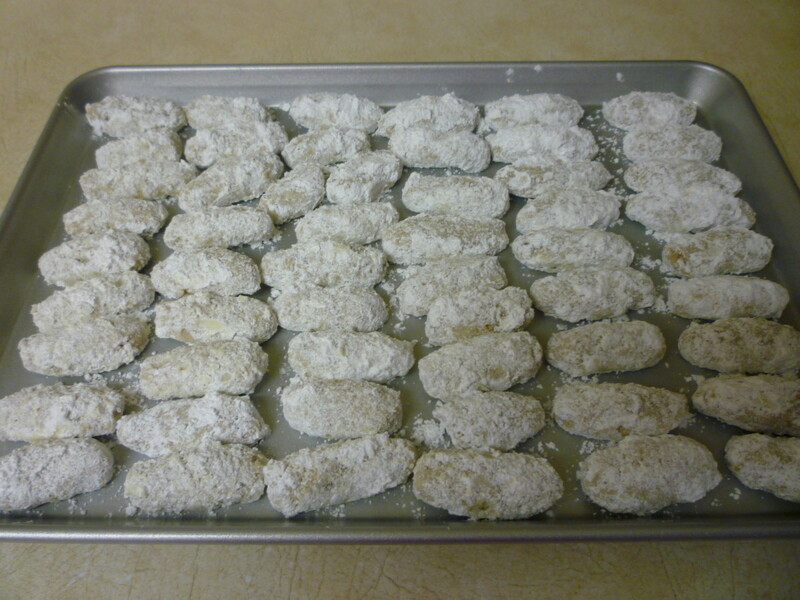 When I was a child the pecan fingers were my favorite type of cookie baked around Christmas-time each year. They are pretty mixed in with other types of cookies. Hope you enjoy them! Thanks for the pin and share. I would love these pecan finger cookies! I usually make cookies for our customers around Christmas, but wasn't able to this year because of Jenna's accident. I am pinning this and may try these for our first cook out this spring! I must pin this as I am always looking for something special to take to church for brunch or for our social hour. The pecan fingers look divine and the kids of all ages will like the m and m cookies. If reading this made you think of what you needed to add to your shopping list, then I guess it was worth it. Ha! Happy holidays to you! We have given these and other cookies away for Christmas gifts for many years now and they are always well received. Thanks for the share. Hope you are enjoying the lead up to Christmas and the New Year. More great cookies for Christmas and for gifting! These look so yummy and easy to make. I don't think I know a single person who doesn't like cookies. Great for that hard to buy for person -- especially if that person is a man. Men always seem to love homemade cookies. Only a couple more weeks left . . . Sharing these wonderful recipes again! Hope your Christmas was happy. Thanks for the well wishes & pin. Came back to pin this to 'Awesome Hubpages.' Baking cookies the day before Christmas would be a great way to spend family time and have the perfect cookies ready with a glass of milk for Santa later. Happy Christmas to you and your family, Peggy W. Thank you for being one of my best friends here on HP! These look like great cookies for Christmas parties and gifts. Gave you 5 more stars, voted up and useful, and pinned! Glad that you liked these recipes. Thanks! Yes...you get 2 cookie recipes in this hub. Thanks for the comment and pin to your cookie board. I get two cookie recipes with this hub. I have to add them to my pinterest cookie board. I'm sure they taste as good as they look. You will have lots of fun perusing the different cookie recipes and sampling them if you decide to make them. Enjoy!!! Thanks for your comment. It will be nice when you have your own baking oven. You can then bake cookies to your heart's content! :)) Thanks for your comment and share. Peggy, all I can say is wow. I have so many cookies to choose from and sweets are my weakness, especially cookies. I love that you listed all your sweet recipes to peruse through. I will be going through those hubs as well. Thank you for the ideas! I always enjoy your cookie recipes. I'm ever more eager to have my own baking oven. Shared. If you are thinking of mailing the cookies to her...the pecan fingers may not be the best ones because they are very fragile compared to most cookies. Ones like the ice box cookies and others would hold up to the rigors of being mailed a bit better. Save the pecan fingers for sometime when she is able to visit you in person. Thanks for the votes + share. I am doing the same...baking cookies to give away as gifts. Well, it's that time of year AGAIN! I enjoy making cookies at Christmastime to give to friends and neighbors. I am only limited to the amount of freezer space I have. I have a granddaughter who moved to Oregon and won't be able to come home for Christmas. She asked me to bake her some cookies to make her feel like she is home. I like the looks of your Pecan Fingers and I think she will love them. I will bookmark this Hub. I voted UP, etc. and will share. Peggy the picture looks mouth watering. I am definitely going to try pecan fingers some day. Bookmarked this page. I guess this did come at the right time since you are interested in trying new cookie recipes. At least these are all tried and true recipes and many are long time family favorites. Hope you enjoy them as well. Thanks for your comment. Enjoy these cookie recipes. Happy to be able to share them with you and others. Thanks for your comment. Anyone liking butter cookies should like these ones featured in this hub. They are both very buttery in flavor. Thanks for the votes and share. Nice to know that you will be giving these cookies a try. Thanks for the votes and share. Omg these cookies look so yummy! I'm just starting to delve into trying different cookie recipes. I'm a pro with the basics like chocolate chip, peanut butter, sugar, white chocolate chip and oatmeal but have yet to try anything creative and fun like what you just shared. I'll have to check out your other cookie recipes too! I should add that an aunt of mine gave me a cookie cook book that I have yet to open. That was many moons ago, so thank you for inspiring me to bake more! This hub came at the perfect timing for me because I was seriously just mentioning to my son the other day that I want to learn more cookie recipes. :) Thanks for sharing! Nice set of cookie recipes. They look delicious. This is wonderful! So many delicious recipes for Christmas, I hope I get to make all of these! will give these a try since my kid is into macademia cookies which are 100% butter cookies. I love cookies so these 2 recipes have been bookmarked for referring to later. Thanks for these wonderfully clear photos and instructions, Peggy. Voted up, interesting and shared. 5 stars for you my friend. 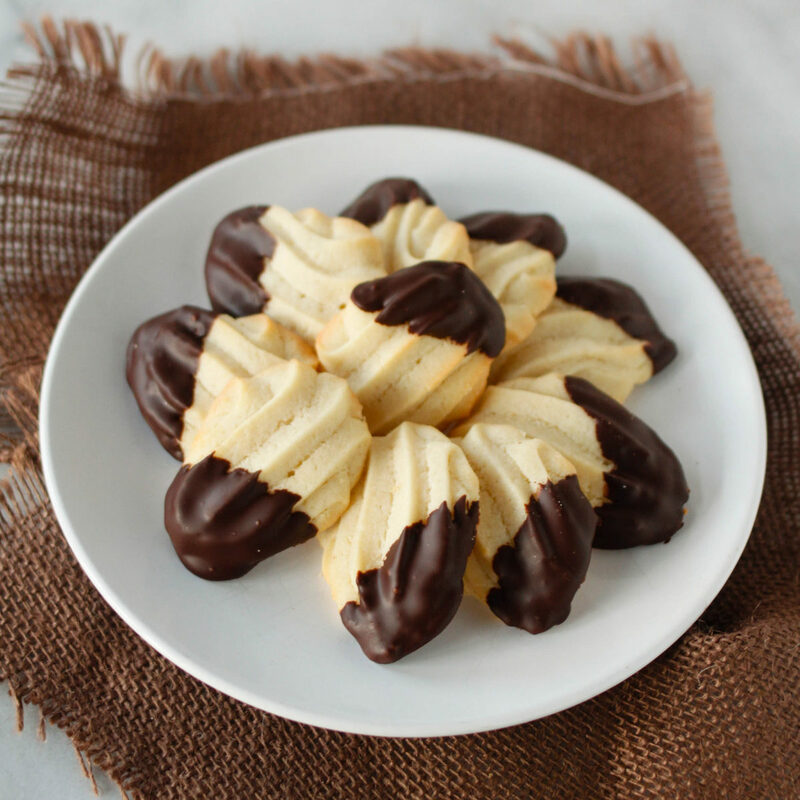 If you like cookies, you have hit upon a great hub with links to many family favorites. Enjoy!...and thanks for your comment. It was always a fun time baking cookies with my mother. Now I relish those memories of all the times we did our baking together. Enjoy the times spent with your children. Am sure that they look forward to it each year as much as you do. Hope they like these recipes! Save a couple for Santa! Ha! Thanks for your comment. 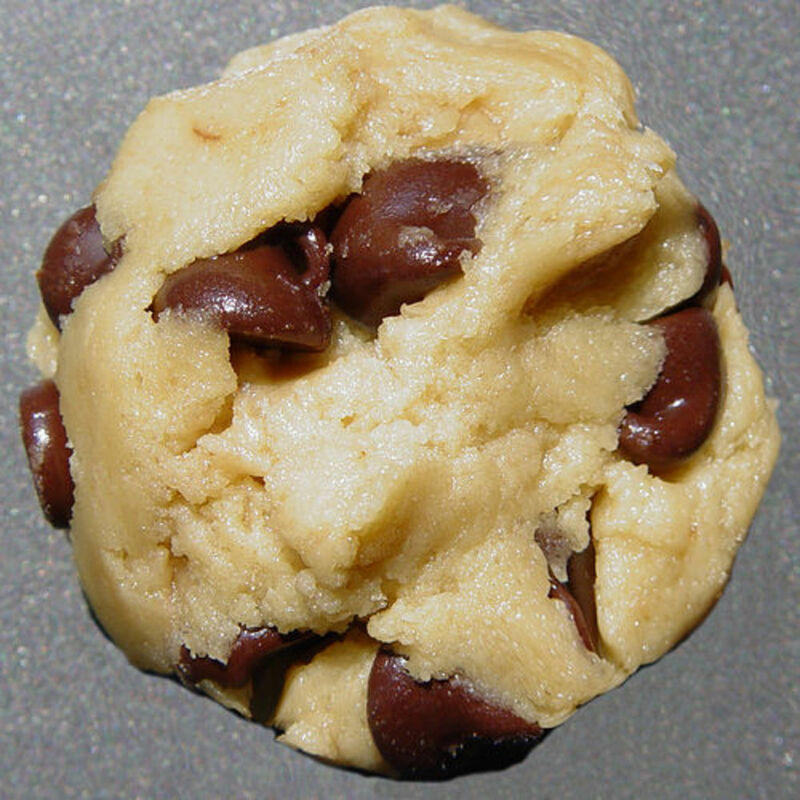 Since you love cookies...you now have a bunch of them to make and sample with all of the links in this hub. Will be curious as to which ones you like best. Thanks for your votes and the share. 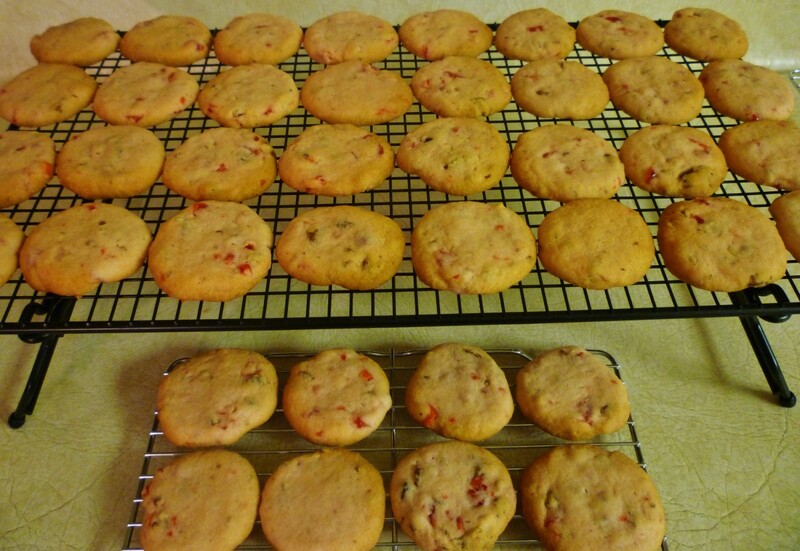 I know what you mean about the pepper cookies being really good if your recipe is anything like mine. This is the time of year that I usually start thinking of making the different kinds of cookies because many of them freeze well and then can be divided up later into the tins to be given away. When we were kids, my parents would always put out a plate of cookies and a glass of milk for Santa Claus when he would come to visit. There were just crumbs on the plate the next morning. Ha! Thanks for your comment, vote and share. I have fond memories of baking holiday cookies with my mother and have passed the tradition down to my children. Even though they are grown they still look forward to baking Christmas cookies with me. Now I have some great additions. They will be so happy. Mmm.. Cookies! Me love cookies! Voted up, awesome and shared. When our kids were growing up we use to make so many different kinds of cookies. Now not so many. All your recipes look really good. 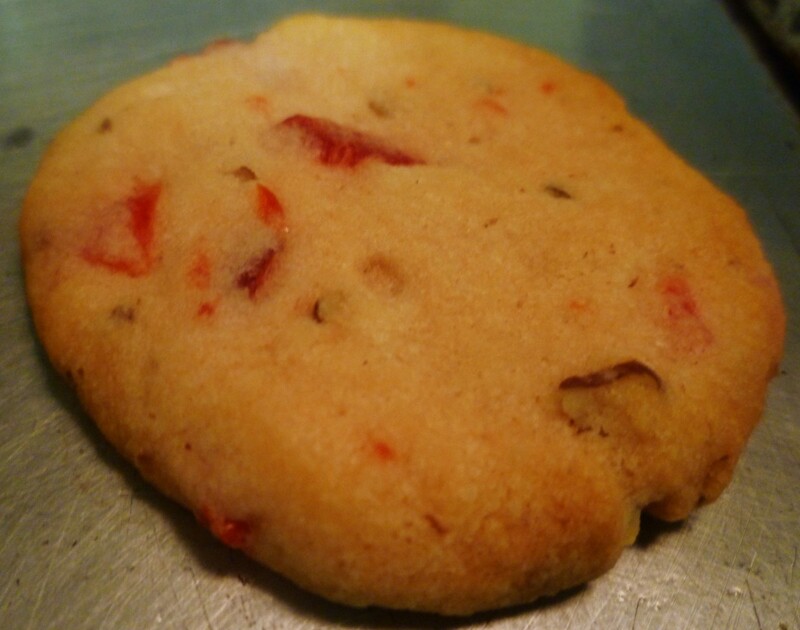 I like your recipe for pepper cookies I make a cookie recipe with pepper in it and they are so good. Voted up and shared. Cookies DO make a nice gift especially when they are homemade...and like you say...are good for all kinds of occasions. Thanks for your comment and votes. I'm one of those folks who would be quite happy with these homemade cookies for any occassion, even for business or anniversaries. Alas, I don't get enough of them. What's also nice is the only space they end up taking is in my tummy rather than my house. Voting this Up and Useful. Enjoy both cookie recipes! Happy to be able to share them with you. They do look really pretty mixed into an assortment. Thanks for your comment. Peggy W. Hi. Wow both of your Recipes look and sound absolutely wonderful. I will be trying both recipes, and as you suggest making them both together is a great idea. We especially love pecans in just about anything. Go ahead. At least there are no calories in eating cookies that way! Haha! Thanks for your comment. I want to eat this hub!!! Everything looks so good. You did a great job with the photos. Thanks for posting! Wish that I could share some with you and chat over a cup of coffee. Oh well...at least you have the recipe if you are inclined to bake these cookies for the holidays or any other occasion. Thanks for your comment. You will have to give those M-M-M cookies a try. They are pretty and good. I can tell that you like cookies since you mentioned oatmeal and gingerbread ones. Thanks for your comment. Enjoy! The mmm good cookies looked delicious. I don't like raisins so regular old oatmeal cookies are great for me. Ginger bread ones are awesome too! Enjoy your Christmas cookie baking. 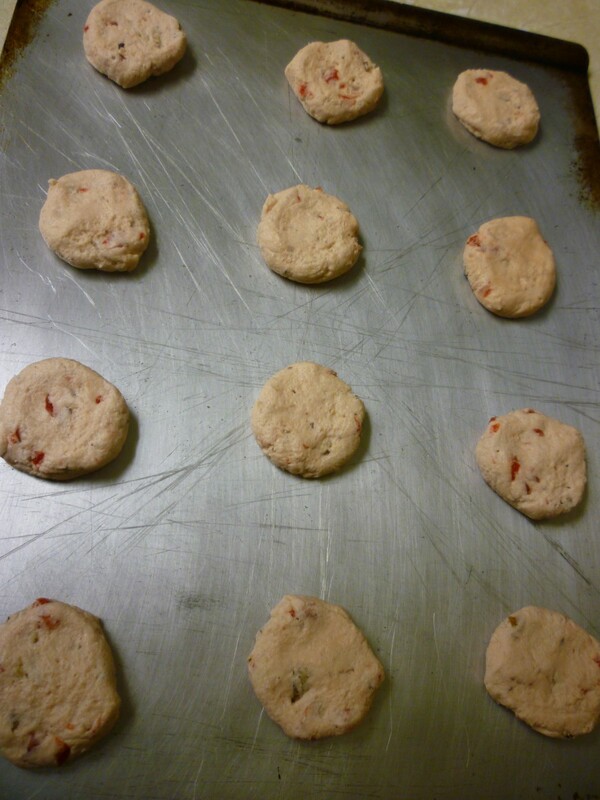 The cookies with the maraschino cherries are good, and like you say...add a bit of color to the mix. Thanks for your comment. Hi, Peggy - glad I found this one. It's almost time to start baking Christmas cookies and I always want a new recipe. I make something like the pecan fingers, but my recipe calls for (cheaper) walnuts. I like the one with the cherries. The splash of red adds that color that make for a nice variety. All the different kinds of cookies look so pretty together! She must have manipulated the cookie dough into a cresent shape instead of a finger shape. That would have been pretty. Thanks for your comment. Happy baking and thanks for sharing the recipes with others. Appreciate your comment. If you do bake the pecan fingers let me know how you like them. Be forewarned...they are rich! Merry Christmas! Yummmmm! These cookies sound so good, Peggy. Our neighbor does a cookie basket every year; I'll pass on the recipes to her. Might have to make the pecan fingers for us though! Enjoy these cookies in good health and thanks for your comment. Mmmm another recipe to bookmark. Glad that you liked the photos and instructions on these two scrumptious cookies I shared in this hub. Appreciate the comment and votes. Dear, Peggy. Your photos were so mouthwatering and again...you completed this hub with step by step pictures. You are master chef and I am so happy to know this recipe from you. Well done and vote up (expect funny). I baked 12 different kinds this year to make up that cookie assortment for gift purposes. Many of the varieties have now been written about in hubs...so enjoy your cookie baking. Please let me know which ones you liked best. Thanks! I'm impressed-- your tin full of assorted cookies looked great! I'm going to have to try out some of these recipes! Thanks for leaving a comment and enjoy these scrumptious cookies when you bake them. Merry Christmas! Nice article and very useful with Christmas season here. I will have to try some of these cookie recipes. Thanks for sharing. You will be receiving some of my homemade cookies as a gift. Depending upon Bruce's schedule...it might even be today. Thanks for your comment on my hubs including this cookie hub. Appreciate it! One nice thing about baking homemade scrumptious cookies is how it makes the house smell. Great! Thanks for your comment and Hugs back to you. Haha! So your "cookie monster" has been awakened, has it? At this time of year that seems to be a regular malady. Take 2 cookies and call your doctor in the morning if your symptoms persist. (Smile) Thanks for your comment. Hello Peggy. Interesting piece. I don't cook but I enjoyed looking at your cookie recipe. Judging by the many responses to your article there will be a-lot of people making chocolate chip cookies. However, I will still buy my cookies for the Holidays. Nice to know that you liked the photos and recipes for these scrumptious buttery cookies. Thanks for your comment. Thanks for your comments and hope that you get to bake and taste these cookies this year. The clock is ticking... Ha! The cookie jars are cute, aren't they! Let me know if you actually try out these cookie recipes and what you think. Thanks for your comment. Am sure the pecan finger cookies would be equally good with walnuts. Glad that you liked these cookie recipes with pictures. Thanks for your comment. Thanks for sharing all of your family's treasured cookie recipes. I will definitely make these delicious butter cookies in the near future. Your cookies are heavenly. Another great and interesting hub. Beautiful photos. Oh my gosh! My mouth is watering.. these cookies look amazing! Thanks so much for sharing this and the recipes. I loved the cookie jars, too! As usual, my mouth starts watering and my stomach rumbling when I visit your Hubs, Peggy! I *love* pecan finger cookies - we make a variation at home with walnuts, but I like the pecan version, too. Thank you for sharing these recipes and pictures! The biggest treat of all besides getting to eat the cookies when we were young kids was getting to lick the spoons from the cookie batter. I see that you shared in that "coveted treat" also. Ha! Thanks for your comment. Appreciate your comment. Hope that you like these scrumptious cookies when you get the time to bake them. I love how the holidays enable me to imbibe in one of my favorite goodies…cookies! My grandmother used to make them and the cookie batter was a coveted treat. Scrumptious recipes, Peggy! Wow, this is an excellent hub! I love how you mixed in your great pictures with the cookie recipes. These pecan fingers looks yummy. Bookmarked, voted up and useful. Thanks for sharing this wonderful hub with us. Let me know what you think after baking these cookies. Thanks for your comment and Happy Holidays. I am so glad to find more recipes to use in my cookie giving. I love baking for the holidays or any occation, and am always on the look-out for recipes. Thanks for sharing these. I am off to the kitchen soon to try them out. You are most welcome for these scrumptious cookie recipes. Hope that you enjoy them. Thanks for your comment.